Travels with Gosh Gee Golly! I'm so excited to be featured as a guest blogger for Smarter Travel! 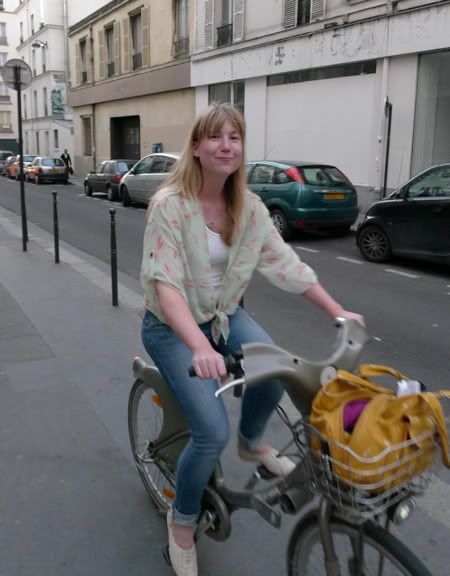 I wrote about how I used the Vélib' system during my trip to Paris this spring, and you can check out the post here! Thank you so much to my good friend and travel editor extraordinaire, Caroline, for the opportunity. This girl travels more than anyone, she just got back from an incredible trip to Australia! Iceland — we petted wild ponies and went dogsledding! I hope you take a minute to peruse, find your next vacation stop, or leave me a comment with your favorite travel memories! Thanks so much for checking out my blog! September 17, 2012 by Adele Chapin.